Saute first 6 ingredients in a large pot until tender and onions are translucent. Add rest of ingredients except for tortellini and spinach. Cook on high until boiling. Add tortellini and spinach. 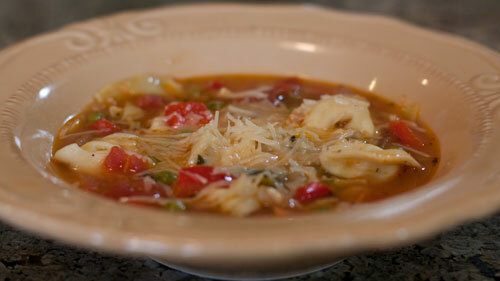 Serve when tortellini is cooked with parmesan cheese.